awesome costume ! very easy to wear (even with jeans underneath !) and ...easy to scare ! little advice: the eyes of the mask are too narrow to see properly so i had to cut them in the middle of the parade to be able to see ... other than that great costume ! The actual costume has nothing to do with the picture. 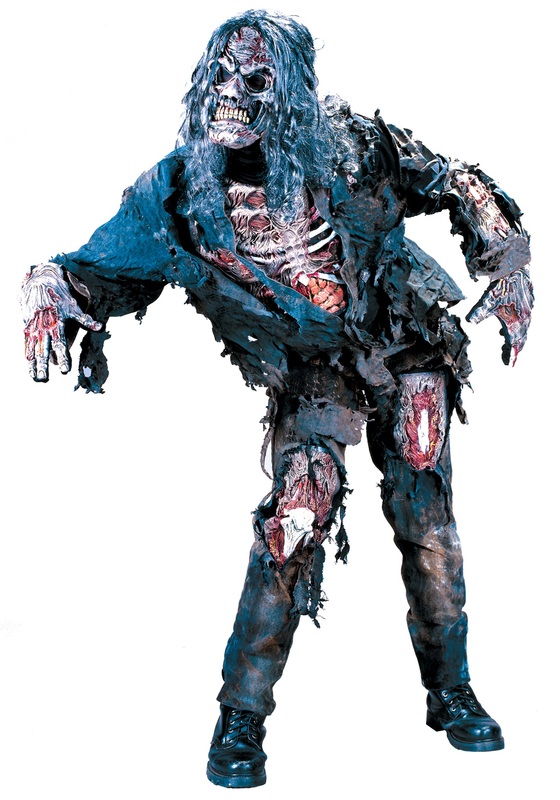 If you want to get a better idea of how it's going to look like go to the plus size zombie costume. In any case, it's a paper-thin fabric that doesn't fit very well on especially with the plastic bone-look-like attachment. Unless we were sent the wrong costume by accident, I wouldn't suggest it.